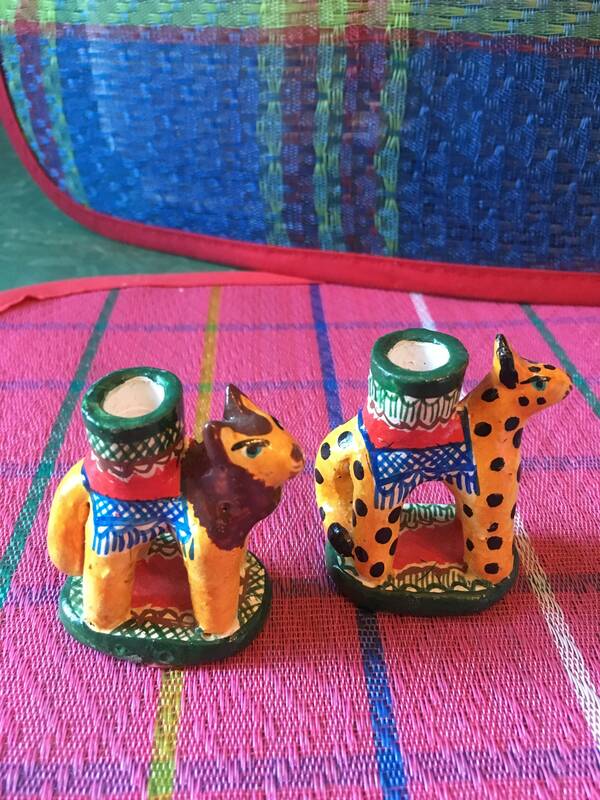 This is a set of two miniature ceramic candle holder figurines. 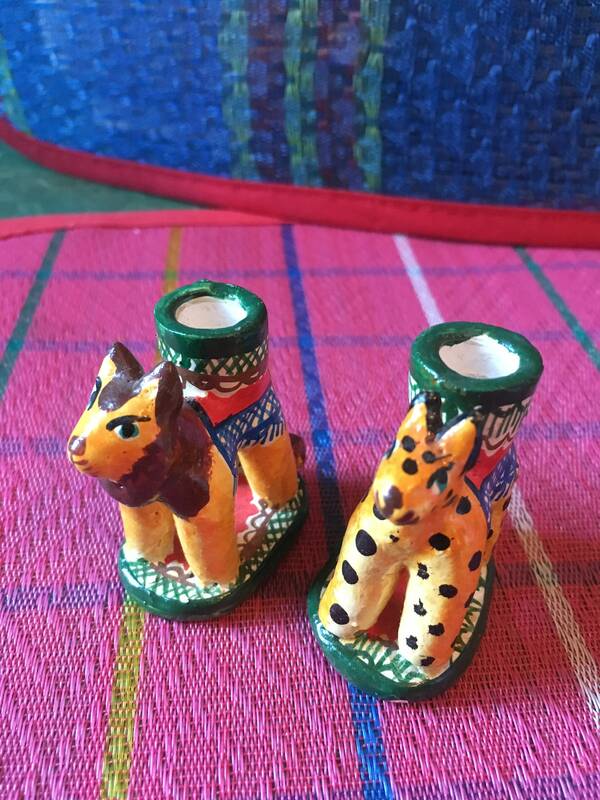 Made in Oaxaca, Mexico, they stand approx. 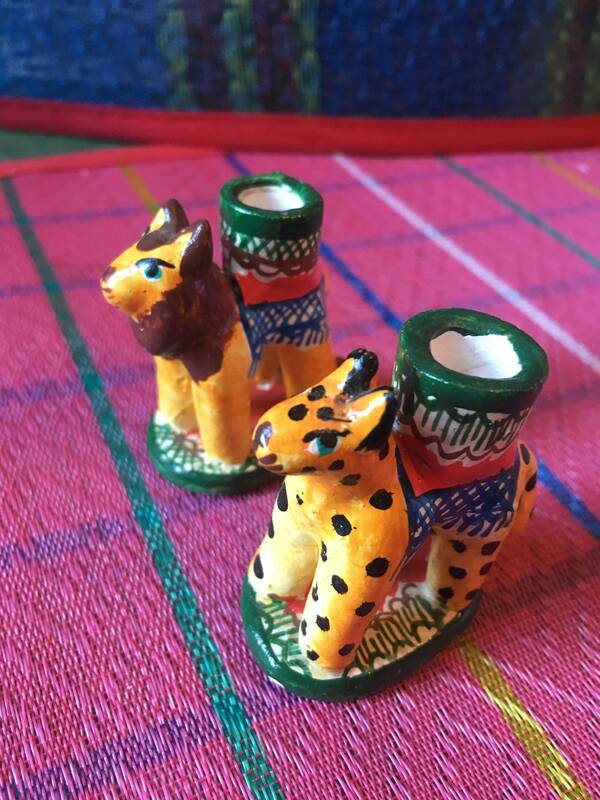 2" tall and 1.5" length. Perfect size for a birthday candle. So Cute!! !